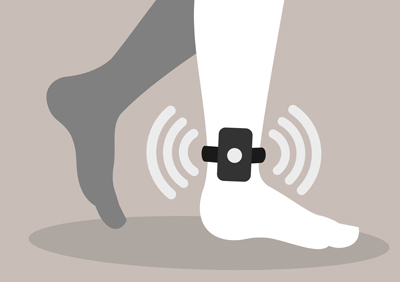 GPS electronic monitoring devices made by a company called the Track Group can call and record people who are required to wear the ankle monitors because they are on probation or awaiting trial. The device, known as the ReliAlert XC3, is supposed to play a three-note sound when an official calls and a recording begins. But a technician testified in a 2014 case in Puerto Rico that the listening and speaking capabilities can be turned on without warning, according to a joint report by the Appeal and CityLab. Calls made through the devices can be initiated at any time, and there is no way to decline an incoming call. The ReliAlert devices are being used to keep tabs on juveniles awaiting trial in Cook County, Illinois, and to track some adult probationers in the county. They also are being used in Marion County, Indiana, for people awaiting trial and those who have been convicted. The Track Group refused to reveal other jurisdictions where the monitors are being used, citing possible competition. Cook County’s contract with the Track Group had required calls made through the devices to be recorded, time-stamped and archived for 18 months. Cook County’s chief judge announced a review of privacy concerns after the Appeal raised questions about the devices. Spokesperson Pat Milhizer said the Track Group will be told to disable recording capabilities pending the review. Milhizer said use of electronic monitoring has reduced the number of juveniles held in detention centers. Electronic monitoring is increasingly being used across the nation to reduce the number of incarcerated people and to allow for the release of people without money bail. The Track Group is the only company that has devices with patented built-in communication capabilities, according to the joint report. Kate Weisburd, a professor at the George Washington University Law School, told the Appeal and CityLab that there could be a constitutional challenge if recorded information reveals incriminating information to police. She also said consent is an issue, even when people accused or convicted of crimes consent to wearing the monitor.